Tenant Risk Verification – Are you renting your house to terror? Are you renting your house to terror? If you have tenants living in your house who haven’t been verified, it’s about time you headed for the local police station to get it done even if they are ‘like family’ and seem nothing like terrorists. In Devli and Kishangarh near Vasant Kunj, terrorists who planned the strike on Ayodhya took refuge. The landlords took them in without even checking their antecedents, let alone going through the tenant verification procedure specified by the local police. And they turned out to be terrorists. 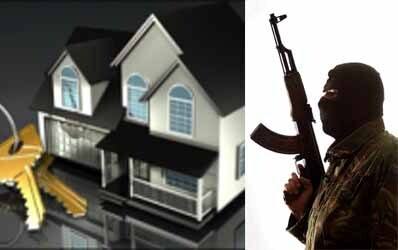 In the wake of increased terrorist activity in the Capital, simple things like getting new tenants verified with cops gains importance, as it prevent your premises from being used or rather misused as a terror den. Tenant verification was started by the Delhi Police in the 1980s – around the time that Punjab militants were active. “The procedure is simple and all one has to do is inform the local police station when a new tenant is taken in. The beat constable would come to the house and gather information about the person(s). A simple form is filled and a photograph of the inmates is affixed on it for police records,” a senior police official said. …early years, till terrorist activity went down. “Authorities became slack since instances of such activity became few. But now, since terrorists are again becoming active, tenant verification becomes essential,” the officer added. After the Ayodhya disclosure, the Delhi Police special cell has collaborated with the local police and have started a special drive stressing on tenant verification. And its not just the walled city and parts of northeast Delhi that remain the focus areas for the drive. Sources maintain that Vasant Kunj in southwest and Uttam Nagar in west Delhi are fast emerging as the new terrorist havens. “Localities like Zakhir Nagar, Sangam Vihar, Welcome, Seelampur, Azadpur Mandi and the walled city, which used to be favourites for terrorists until a few years ago are now being replaced with Vasant Kunj and Uttam Nagar,” sources said. One of the main reason why these places or even Delhi in general remains the preferred destination, even though intelligence and security agencies are comparatively more alert here, is the growing urban culture. “In such areas, people like their privacy and there is little interaction with neighbours. So there is little chance that you would know even if a terrorist is living right next door,” an officer said. Investigations reveal there are cases when landlords and locals are aware the men living with them are terrorists and support them. Sources claim that even in the Ayodhya case, one of the landlords in Devli was apparently aware of who they were, but chose to shelter them.